Back in 2010, I reveled in artist Martin Ansin's trippy portrayal of The Flash. 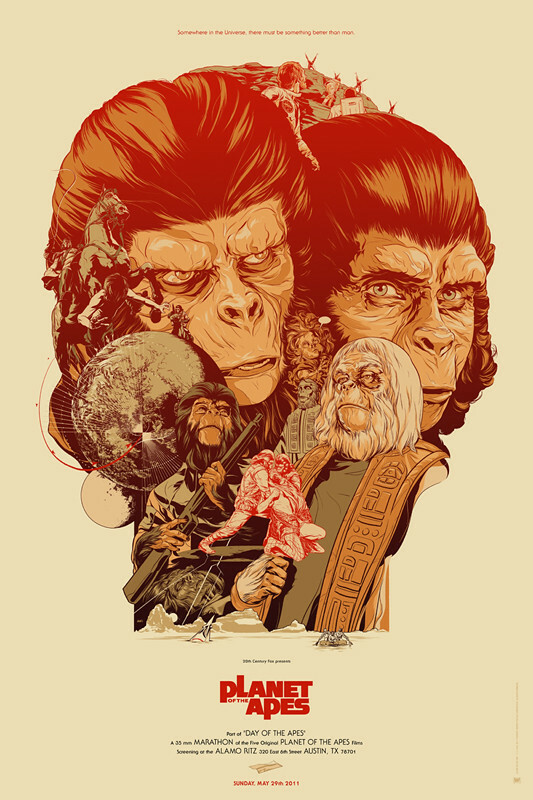 This week, SlashFilm brought to my attention this poster to make any film fan go Ape! Ansin's poster for the very first 1968 Planet of the Apes film was done for a marathon at the Alama Drafthouse. Now this will be going on sale today as part of a set of posters, then later it will be sold individually. 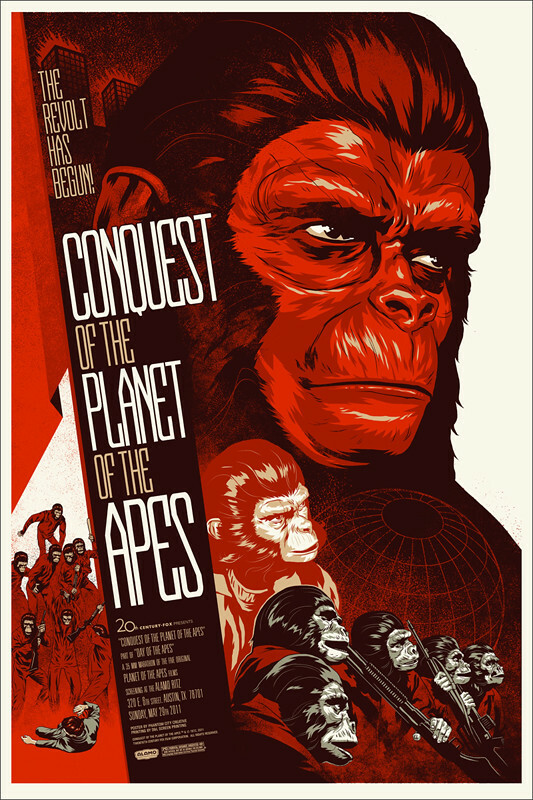 Conquest of the Planet of the Apes by Phantom City Creative. I love this film the most out of the entire series, even though I think the first one was the best written and directed. The poster captures all the key elements: Caesar, Lisa, the Gorilla rebels, and the climactic scene at the end with Breck. 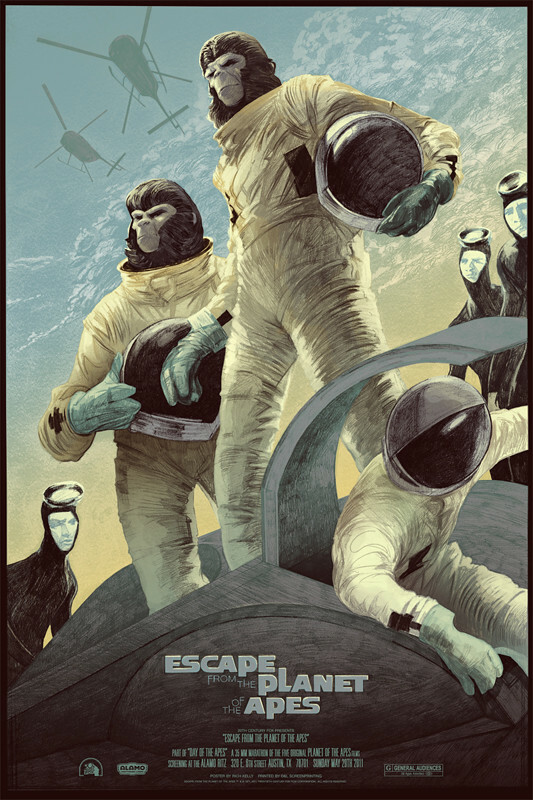 Escape from the Planet of the Apes by Rich Kelly. This artist chose the perfect scene to illustrate, the moment the Apes remove their helmets and reveal to the world that they are not human! The prints will be sold as a set on Thursday, January 26th for $230. Any remaining individual prints will go on sale on Friday, January 27th. Follow @MondoNews for on sale announcements. Nuff Said!